Home WHAT RESULTS CAN I REALISTICALLY EXPECT FROM TAKING HR23+? What Results Can I Realistically Expect From Taking HR23+? What Results Can I Realistically Expect From Taking HR23+? 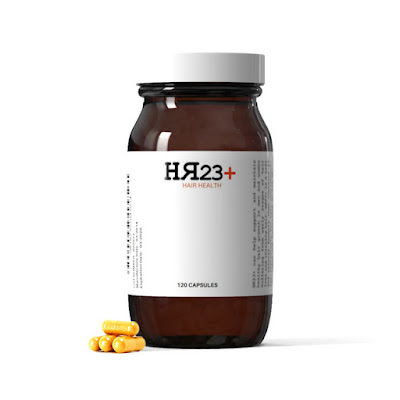 What makes HR23+ such an effective hair loss treatment? Firstly, it should be clearly stated that HR23+ is not a cure or miracle formula for hair loss. These products are specifically designed for men and women who suffer from early stages of male and female patterned baldness. Taking this supplement or serum can increase your chances of preventing baldness to a certain extent, helping you maintain healthier hair growth and, in some cases, lead to the regeneration of hair cells. So, let's delve a bit deeper into the two popular hair growth products by HR23+, and establish exactly how they can be effective hair loss preventers and hair growth promoters. Biotin has been called 'hair food' and rightly so, since one of the effects seen most often is an increased rate of growth in the hair when taking biotin supplements on a daily basis. Pantothenic Acid, also called Vitamin B5, has been associated with healthy hair growth. It can help prevent hair loss, keep you from going grey, and is also good for your nails. It has been shown to result in a rapid cessation of hair loss, and for this reason is a very good companion to using the laser. What it does is help to get vital nutrients into the hair follicle, strengthening it; improving its function, and keeping it healthy so the follicle can grow a hair. Saw Palmetto is thought to inhibit the enzyme 5-alpha-reductase. This is an enzyme that converts testosterone into DHT (Dihydrotestosterone), a hormone that has been found to damage hair follicles. In men, DHT is the primary contributing factor to pattern baldness, and in women, DHT is one of several possible causes of hair-loss. 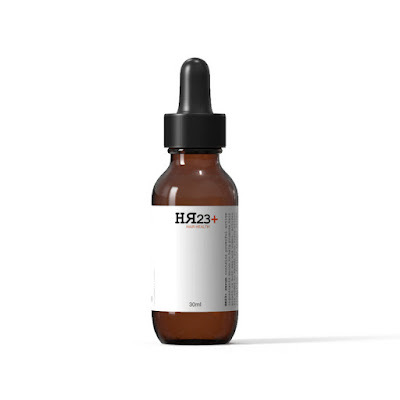 HR23+ Scalp Therapy Treatment Serum is a topical liquid that is made from 43 key active ingredients that can help prevent thinning hair in men and women. This latest scientific breakthrough formula contains the advanced anti-hair loss ingredient – Keratinocyte Growth Factor (KGF). Functional tests prove that Keratinocyte Growth Factor can inhibit the formation of DHT and promote healthy hair growth. HR23+ Serum is a fast acting formula that can benefit hair growth in men and women suffering from early stages of hair loss (Norwood 1-4). This serum is designed to help activate weakened hair follicles for regeneration of new hair cells that were previously lost. The unique mixture of Saw Palmetto and potent herbal extracts can revitalise hair follicles, making HR23+ Serum one of the safest and potentially most effective none-prescription topical anti-hair loss serums of its kind on the market. Caution: Women who are pregnant or breastfeeding should avoid suing this serum. If you're at early stages of losing your hair then HR23+ should be two products firmly on your hit list. Adding the very best hair health ingredients to your hair is a crucial step in developing stronger hair follicles. The earlier you care for your hair, the better chance you will have of maintaining more of it for longer. 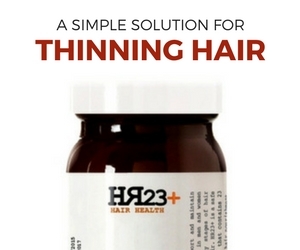 hair growth products hair loss treatments hair supplements HR23+ does it work? promoting hair growth WHAT RESULTS CAN I REALISTICALLY EXPECT FROM TAKING HR23+?